Tax debt is a common and serious issue that affects over 18 million Americans. Consumers nationwide collectively owe around $458 billion, of which only 11% is ever recovered by the IRS. Because the IRS holds so much authority and has the ability to seize your assets, put a lien on your bank accounts, garnish income from your wages/retirement/social security, or even hold onto your future tax refunds, tax debt is the most difficult debt to deal with. Fortunately, they have implemented some programs to help consumers who are struggling with their tax debt. Why Does The IRS Offer Tax Relief Programs? It may be puzzling as to why the IRS would even consider forgiving your tax debt, but they have good reasons to do this. For starters, the IRS does not have enough resources to enforce its laws by performing audits and collecting the needed revenue; additionally, they only have 3 years to assess your tax liability after you file a tax return, which is usually not enough time for the overworked IRS agents. Because the IRS would rather focus their energies on wealthy taxpayers who are evading their tax debts, they are much more willing to negotiate with those struggling to pay their debts. 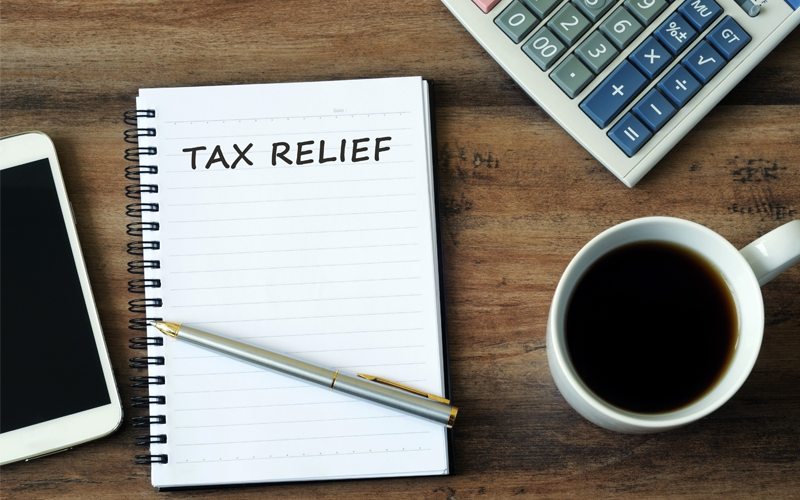 IRS tax relief programs offer taxpayers a welcome respite by reducing the amount of tax debt they owe, creating a payment plan that gives them more time, or a combination of the two methods. Although you can file for an IRS settlement on your own, the process is complicated and requires thorough financial reports and knowledge of the tax code. Enlisting an experienced tax relief company can help you reduce or take care of your tax debt to where it is more manageable. What Are The IRS Tax Relief Programs? While there are multiple options to relieve your tax debt, the IRS has three programs that offer debt forgiveness. If you find that your living costs exceed the amount you can afford to pay within the required 120 days, you might qualify for an IRS Debt Forgiveness Program. The IRS can't collect more back taxes than you can afford to pay, which means that under the right circumstances, you can have your debt partially forgiven. In extreme cases -- like the death of a family member, job loss, or a serious natural disaster -- the IRS may not collect on any of your tax debt. The IRS offers the Fresh Start initiative, which helps consumers resolve their tax debt by offering several methods of relief like installment payments, penalty relief, lien releases, and an Offer in Compromise program. Below, we break down the programs that the IRS offers to relieve your tax debt. The Offer in Compromise program is a tax debt settlement that allows a taxpayer to pay less than what they owe, either in a lump sum or fixed monthly installments that last up to two years. Although this is the most ideal solution for individuals struggling with tax debt, not all taxpayers actually qualify because it is difficult to meet the criteria. You need to prove to the IRS that paying the debt would cause you financial hardship by submitting documents and reasons why you need to pay less. You will also be more likely to qualify for an OIC if you hire a tax relief company. To request an OIC, you must submit Form 433-A (for individuals) or form 433-B (for businesses) and pay either the application fee of $186, 20% of the proposed lump sum payment, or an amount equal to the first proposed fixed monthly installment payment. In some cases, if you are an individual or sole proprietor who qualifies for the IRS guidelines for Low Income Certification, you can be exempted from paying the application fee. If they are paid in five (or less) months, the IRS only looks at your next year of future income when determining what they can collect from you (in the past, it was four years of future earning potential). For installments that last 6 to 24 months, the IRS will take a look at two years of future earnings (instead of five years). Taxpayers can now make their student loan minimum payments guaranteed by the federal government. In some circumstances, taxpayers can pay their delinquent local, state, or federal taxes in monthly installments if they can't pay it in full. The standard allowance for Allowable Living Expense has been expanded to include bank fees, credit card payments, and more. The Partial Pay Installment Agreement has some similarities to an Offer in Compromise in the fact that the IRS forgives a portion of your debt, but instead of offering a short repayment period, they offer repayment terms of around 36 to 72 months for those who can't pay the full balance at once or aren't eligible for an OIC. These Partial Pay Installment Agreements typically don't offer as much debt forgiveness, it is quicker and easier to qualify for without providing as much information regarding your financial information. You can work with the IRS or enlist the help of a tax specialist to negotiate and create a long-term payment plan with a low monthly payment. Keep in mind that payment plans can also add extra interest and penalties to your tax debt. These installment agreements are ideal if you need more than 120 days to pay off your full tax debt amount and if you owe less than $50,000 (including interest and penalties). Before the IRS Fresh Start initiative, taxpayers had to have under $25,000. Taxpayers can complete their online application for installment payment agreements through the IRS Online Payment Agreement page. If you owe over $50,000, you may still be able to have an installment agreement, but you either need to make enough payments to bring your balance under $50,000 or file a Collection Information Statement (Form 433-A or Form 433-F). Businesses can also apply for tax relief from the IRS. Their most common option is a payment plan, for which they need your EIN (Employer Identification Number), business established-on date, the address of your last tax return, and your caller ID from the notice. In addition to a Partial Payment Installment Agreement, you can also ask if you qualify for other installment agreements, such as a Full Payment Installment Agreement (which allows you to pay your full tax debt in around 10 years or less), Complex Installment Agreements, Staggered Installment Agreements, and Streamline Installment Agreements. The IRS Penalty Abatement program allows you to request a reduction or complete removal of penalty fees and interest. These fees are dangerous since they can add thousands to your final tax bill. Penalty Abatements are usually available as a one-time break for taxpayers who can pay their debt either in full or through a monthly installment agreement. If an IRS agent gives you incorrect information over the phone, you might also qualify for administrative relief. You either didn't previously file a tax return or you don't have any penalties for the 3 tax years prior to the tax year you received a penalty. You have filed all of your current required tax returns or filed a time extension to file. You have paid your due taxes or arranged to have them paid. Getting rid of your tax debt does not have an easy solution, but the IRS Fresh Start Program offers you some potential solutions that are worth looking into. While you can pursue one of these options on your own, we recommend looking into a reputable tax debt company to relieve the burden of your tax debt.